The Find X smartphone, by Chinese electronics maker Oppo, is one of the most futuristic and best-looking smartphones we've ever seen. Unlike popular phones like the Pixel 3 and iPhone XS, the Oppo Find X features a true edge-to-edge display, with no cut-out "notch" for the front-facing camera. Other smartphone makers could take some design cues from the Oppo Find X.
Smartphones keep getting better and better in terms of performance and design. But in that latter category, there may be no better-looking phone than the Find X. The Find X was made by Chinese electronics maker Oppo, which is one of the most popular smartphone makers in the world: it was China's top brand in 2016, according to IDC. 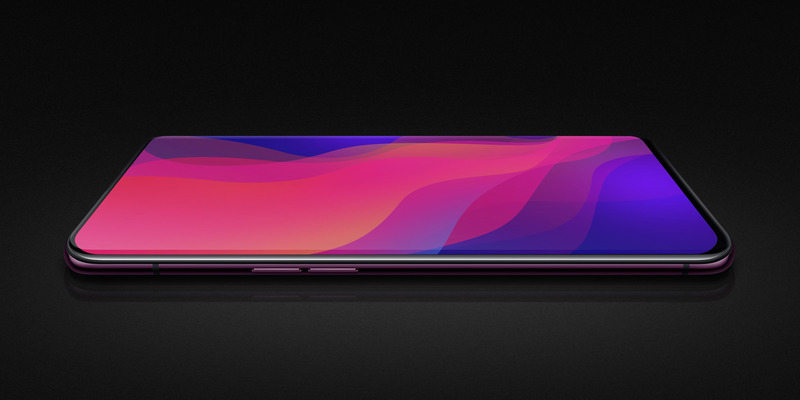 Oppo unveiled the Find X in June, and it made a lot of waves online thanks to its stunning design. The Find X looks similar to Apple's iPhone XS, but features thinner bezels, or borders around the display, and most notably doesn't include a "notch" like the iPhone has. The Find X has a true edge-to-edge display, and Oppo came up with a clever system to hide the camera when it's not in use. It's certainly one of the most futuristic phones we've ever seen. The photos below come courtesy of YouTuber Lewis Hilsenteger from the Unbox Therapy channel, who managed to get his hands on the Find X and filmed it for all to see.